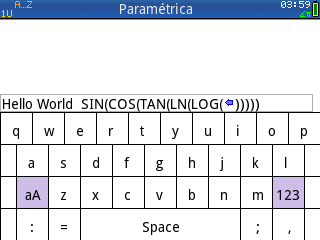 Description: An on-screen touch keyboard with QWERTY option. You did not explain how to run your program. Tapping Run on my physical Prime with vkb selected shows a circle with "!" in the middle. Tapping Run with LibMenu selected shows me a submenu of choices, and when I tap "draw" I get an invalid input error dialog. I haven't the faintest idea how to use your program. It is a 4 button combination.